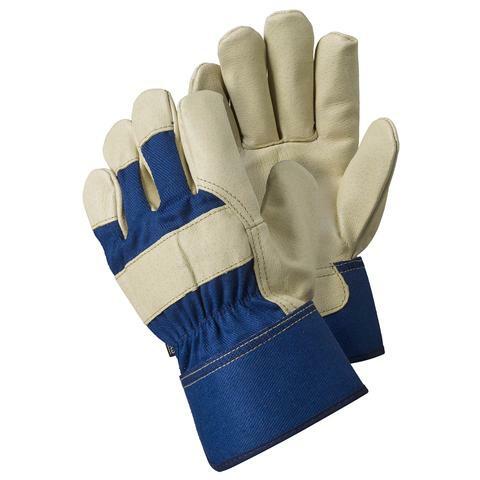 Durable and comfortable with a high-quality leather construction, the Briers Premium Hide Rigger Gardening Gloves are ideal for protecting your hands while gardening. With extra palm and forefinger protection, they help to keep hands safe while handling tools, and the extended loose safety cuff provides additional wrist protection. The Briers Premium Hide Rigger Gardening Gloves are available in a choice of sizes to ensure the most comfortable fit. Please measure the circumference of your hand around the knuckles (excluding the thumb) with your hand open and your fingers together, and the length of your hand from the tip of your middle finger to your wrist.